Centrally located just minutes from Coolangatta’s Gold Coast Airport, Bayswater Tweed Motel offers comfortable accommodation surrounded by a variety of local shopping, dining, entertainment and attractions. Home to a convenient range of onsite facilities, the resort is just minutes from picturesque Gold Coast scenery and the fantastic surf of Coolangatta Beach. Just a short drive from the Casino at Broadbeach, the resort is also close to popular local attractions such as Currumbin Wildlife Sanctuary and Tropical Fruit World. Ideally located opposite the scenic Tweed River, Best Western Kennedy Drive Motel offers well-appointed accommodation within walking distance of Seagull’s Club and only minutes from Coolangatta’s Gold Cost Airport. Home to a convenient range of onsite facilities, the motel is just a short stroll from the Tweed Heads CBD and is surrounded by an excellent range of local shops, restaurants and attractions including beautiful beaches and 32 golf courses. The motel is also close to Border Park Raceway, Bilinga Beach, Showcase on the Beach, Kirra Beach, Centro Tweed, Coolangatta Beach, Snapper Rocks, Greenmount Beach, Duranbah, Point Danger, Coolangatta and Tweed Heads Golf Club, Fingal Lighthouse and Tugun Beach. Situated opposite the Tweed River, Calico Court Motel offers a comfortable range of accommodation just minutes from local shops, restaurants, activities and attractions, Featuring a convenient range of onsite facilities, the motel is just minutes from the Gold Coast Airport in Coolangatta and is close to Border Park Raceway, Centro Tweed and Showcase on the Beach. The motel also enjoys easy access to local attractions including Greenmount Beach, Coolangatta Beach, Duranbah, Kirra Beach, Fingal Lighthouse, Point Danger, Snapper Rocks and Bilinga Beach. 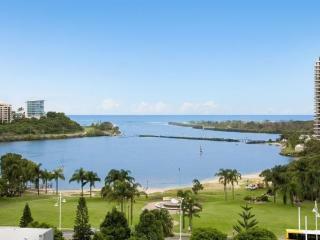 Located on the border of Queensland and New South Wales, Tweed Ultima offers well-appointed self contained 1, 2 and 3 bedroom apartments less than 200 metres from the beautiful beaches of Tweed Heads. Home to a great range of onsite facilities, the resort is close to boutique shopping, entertainment and dining. A short stroll from your apartment will find you relaxing at Greenmount and Kirra beaches and Snapper Rocks. The resort is just a short drive from popular attractions including the Tweed Valley, Mount Warning, Tropical Fruit World, Currumbin Sanctuary, Springbrook National Park, glow worm caves, Natural Bridge and the famous Gold Coast theme parks.